This issue of the G20 Monitor addresses the ‘too big to fail’ dilemma of major financial institutions, combating tax evasion and avoidance through ‘base erosion and profit shifting’ (BEPS), and a report from the ‘G20 and Development’ conference hosted by the G20 Studies Centre and Griffith University. Systemic banking crises are rare, and their cost fades from memory, not least for policy-makers. The challenge is to establish a sensible trade-off between reducing the ex-post cost of TBTF, while minimising the ex-ante costs of doing so. A number of contradictions have emerged within the OECD-led push against Base Erosion and Profit Shifting (BEPS) - the result of creative company tax strategies. These include: whether tax avoidance and evasion via international profit shifting and the use of tax havens is really all that new, how big the problem actually is, and what can meaningfully be done about it. The biggest contribution that the G20 can make to progressing the BEPS agenda may be in pushing for the ‘power of transparency in minimising aggressive tax planning strategies’. This issue of the Monitor has articles on the role of the G20 in tackling the ‘too big to fail’ dilemma of major financial institutions, combating tax evasion and avoidance through ‘base erosion and profit shifting’ (BEPS), and a report from the ‘G20 and Development’ conference that was recently hosted by the G20 Studies Centre and Griffith University. Stephen Grenville’s article explores the efforts of the Financial Stability Board (FSB) to deal with the situation where a financial institution is so large and interconnected that its failure would have disastrous implications for the economy, and must therefore be supported by the government if it gets into difficulty. Such firms are considered ‘too-big-to-fail’ (TBTF). As Grenville notes, the 2008 financial crisis dramatically brought this issue into prominence, and dealing with TBTF has subsequently been a priority of the FSB. G20 Finance Ministers and Central Bank Governors declared at their meeting in Sydney in February 2014 that they were committed to ‘ending’ TBTF by the Brisbane Summit in November 2014. Grenville outlines the problem of TBTF and canvasses possible remedies, including why some measures are resisted by the financial sector. He makes the important observation that crises are rare, and their cost fades from memory, not least for policy-makers. As with all aspects of financial regulation, Grenville identifies that the challenge is to establish a sensible trade-off between reducing the ex-post cost of TBTF, while minimising the ex-ante costs of doing so. His conclusion is that while the problem of TBTF can be reduced, it will not end. As he points out, such an ambitious objective to definitively end TBTF would be like trying to end crime. My paper provides some observations on the work to date by the OECD/G20 project to combat tax avoidance and evasion through base erosion and profit shifting. BEPS essentially refers to corporate entities artificially exploiting loopholes in different countries’ tax laws to reduce or avoid taxation. Dealing with BEPS has been identified as a priority of the G20 and an OECD/G20 project has been launched with an ambitious program covering fifteen action items. Reports are to be completed by September 2014 and September 2015. I note that expectations regarding what will be delivered through the BEPS project vary, with some believing it will be a game changer in terms of international taxation, while others are more sceptical. Canvassing all the discussion drafts that have been released for comment by the OECD, along with the vast range of comments that have been submitted, I note that a key impression coming through is the existence of a number of contradictions. These contradictions include whether BEPS is addressing new or old issues, the scale of the problem, the tax base being protected and whether it is possible to deal with BEPS without reopening some fundamental international tax issues, such as those involving residence and source taxation and the centrality of the arm’s length principle in the context of transfer pricing. Recognising the complexity of the issues, I suggest that greater weight should be placed on the power of transparency in minimising aggressive tax planning strategies. I also note that the OECD/G20 BEPS exercise represents a potentially far-reaching change in the governance arrangements for dealing with international tax issues. On 5 May 2014, the G20 Studies Centre at the Lowy Institute and Griffith University jointly hosted a conference in Brisbane on G20 and development. Daniela Strube provides a brief overview of the issues covered at the conference. The conference was divided into four sessions, with presentations from a range of speakers from Australia and overseas. The conference program can be found online. The sessions covered the G20 as a global steering committee, the G20 as a development actor, mainstreaming development in the G20 agenda, and the G20’s contribution in other development policy areas. Strube observes that the conference produced an insightful debate about the key challenges to the G20’s development agenda at a dynamic time in the international development policy arena. She also observes that there was broad consensus that the G20’s development agenda must be more than an add-on to its core priorities. In short, development should be ‘mainstreamed’ into the G20’s agenda. Until the 2008 financial crisis, ‘too-big-to-fail’ (TBTF) had been a part of central banking lore, but played a relatively minor role. The 2008 crisis brought it into dramatic prominence. Reflecting this change and the widespread determination to develop appropriate policies in response to this perception of greatly increased risk, ‘ending TBTF’ entered the G20 agenda early. It is on the Brisbane agenda, in accordance with the decision at the St Petersburg Summit. The issue is operationally in the hands of the Financial Stability Board (FSB), and the FSB Chairman has undertaken to complete this agenda item by the Brisbane meeting in November. The central argument of this note is that much can be done (and has been done) to address the challenges raised by TBTF, but it cannot be definitively ‘ended’. This is not a counsel of despair, but recognition of reality. Like many other issues, there is a trade-off along a spectrum of options. ‘Ending TBTF’ would be like ‘ending crime’. Strong comprehensive measures come closer to ‘ending’ the problem, but are costly to implement and distort the financial structure. Finding the right place on this spectrum is the collective challenge for the FSB and the G20. The idea that some financial institutions are too-big-to-fail and must be kept operating has been a widely accepted element of central banking lore since the rescue of Continental Illinois Bank in 1984: a single troubled bank which could be rescued by prompt action, without long-term consequences for the financial sector. Until 2008 the consensus view was that TBTF would be confined to banks and would be very rare. Potential runs on banks could be checked by depositor insurance (explicit or implicit); provision of special liquidity would cover temporary liquidity problems in the way envisaged a century earlier by Bagehot; and bank failure could be softened by arranged mergers with stronger banks. If worst came to worst, lender of last resort (LoLR) measures could be used, drawing on public funds. It was envisaged that LoLR would be so rarely used (and in such limited amount) that the moral hazard issues that it raised could be held in check with constructive ambiguity. System-wide crises (such as the 1997-98 Asian crisis) were beyond the focus of policy-makers in the mature economies. The 2008 crisis changed all that. This issue is now seen as so important that the post-2008 discussion has been in terms of how the TBTF problem could be solved, usually expressed in terms of ‘ending TBTF’. The Head of the BIS Monetary and Economics Department calls this “the single most important policy issue that has emerged from the crisis”. 2008 demonstrated that TBTF was not just about size: institutions could also be too important, too interconnected, or too vital in their function to be allowed to fail. A widely shared judgment is that allowing for the failure of Lehman Brothers was a serious policy error. Until AIG’s rescue, the common view was that insurance companies might become insolvent, but this would be a gradual process without systemic implications. But the impact of failure extended beyond individual institutions: much of the disruption in 2008 was caused by the freezing of funding markets (such as the mortgage-backed security market and the New York money market mutual funds). The idea that non-banks would be rescued at the public’s expense, and the perceived need to keep some financial markets going through active official support, were entirely novel propositions. Despite measures already taken to reduce the TBTF problem, it has very probably become worse since 2008 in two main ways. First, there has been a great deal of consolidation within the financial sector. Second, the traditionally ‘constructive ambiguity’ about whether banks would in fact be rescued has become far less ambiguous. It is now clear that many banks will be rescued, as will some non-banks, some non-insured creditors and some financial market infrastructure. The likelihood of a TBTF event has probably been reduced by the measures taken since 2008, but the impact if one did in fact occur is almost certainly much greater. There are two (closely related) aspects. First, there are distortions to markets and the decision-making processes within financial firms that arise from the implicit subsidies to institutions that have the benefit of the TBTF safety net. Second, there are externalities when TBTF threatens to induce a systemic collapse within the financial sector that has an impact on the real economy. The implicit subsidy (de facto insurance of liabilities over and above deposit insurance) distorts risk assessment, creates moral hazard and lowers the cost of funding for favoured institutions, fostering the excessive and risky expansion of balance sheets. Market discipline and risk control processes are undermined. The financial sector becomes larger than it should, such that the competitive playing field becomes more uneven and systemic crisis more likely. Where the protection is explicit (as with the systemically important banks ­– SIBs), this gives an unfair competitive advantage over non-SIB banks. The extreme form of externality (demonstrated in 2008) is represented by the threat of systemic collapse. As the global financial crisis showed, a systemic collapse freezes markets, impedes credit flows, and undermines general confidence, causing unnecessary declines in asset prices and adverse cyclical movements. Countering the real impact of a system-wide failure in the financial sector can require substantial public funds. The subsidy element might be addressed, Pareto-style, by some kind of offsetting tax – an implicit premium for the insurance aspect of TBTF. Setting this premium optimally would be a challenge and would not remove the moral hazard aspects. Yet this consideration might at least justify imposing some cost-increasing measures (such as extra capital requirements) on institutions that benefit from the implicit subsidy. Extra capital is not the equivalent of paying an explicit premium for protection, but it would offset some of the distortion and reduce the probability of failure. The starting point in thinking about the externality issues is to recognise just how costly a systemic financial crisis is to society – demonstrated by the long-lived damage following 2008. In terms of societal priorities, the worst outcome is collapse. The second-worst is the cost of ex-post crisis containment, such as the diversion of public resources towards handling an unfolding crisis, and the expense involved in keeping the financial system afloat. A least-cost strategy would involve well-designed ex-ante policy measures that make a systemic crisis less common and which limit its costs if it does occur. Again, the recognition of this potentially very damaging externality of systemic failure does, in itself, justify imposing cost-increasing measures on financial sector institutions. It is also a justification for being ready to fund a crisis rescue operation. There are a variety of approaches here that attempt to reduce complexity and interconnectedness. The Volcker Rule aims to remove proprietary trading from the TBTF balance sheet. Ring fencing (in the UK and Europe) has the same objective, in trying to push some potential losses out of the insured umbrella. Time will tell if the separation can be effectively maintained. The ability of institutions to shift risky and failing assets into the protected balance sheet will undermine the effectiveness of these reforms. These measures seem, at best, a partial and minimal response to the problem: to require institutions to shift clearly non-systemic activities such as proprietary trading out from under the taxpayers’ protective umbrella seems a modest response indeed. As well, of course, the TBTF institutions, while smaller and perhaps fewer in number, will still be at risk. More loss-absorbing capital clearly addresses the externality issues, and if the requirement is in fact more than the bank would hold voluntarily, this is some offset to the implicit subsidy. The banks (individually and through the Institute for International Finance) have argued that the cost of this extra capital is painfully high, while the BIS calculations see the cost as more modest. Whatever the outcome (and it is bound to be a compromise), extra capital reduces the issue of TBTF, but does not end it. There has been much interest in contingent capital, to create more loss-absorption funds. The question will be whether in practice the contingent funds will be available when needed, or whether it will turn out that the holders will be protected in the way that Irish bond-holders were protected by ex-post guarantee, for political or consumer-protection reasons. The lesson here may be that while there are in theory creditors who could contribute much to a failing institution, there are serious legal difficulties in forcing them to contribute, short of bankruptcy. The issues involved in more intensive supervision are clear enough: the more that is done, the greater the costs (both to the supervisors and the banks). There will be an optimal amount of reform that will still leave the possibility of TBTF. Nevertheless, good resolution procedures would avoid disorderly liquidation of the institution while ensuring that the costs of restructure are borne by the existing shareholders and uninsured creditors. The prospect of a bail-out would also be less likely, with a bank being closed down in an orderly manner before substantively harming the viability of others. The success of such procedures would be more likely if accompanied by the introduction of comprehensive high-coverage deposit insurance, ‘living wills’ and well-practiced resolutions processes and laws. Bailing-in uninsured creditors would provide an additional major source of rescue funds, if it could be made possible. Swift resolution is hard to do with complex institutions that have a high level of connectivity with domestic and external jurisdictions and that provide international transactional services. This section points to specific measures that would require more OTC transactions be shifted to central-counterparty (CCPs) exchanges. However, these central counterparties create their own systemic risks and would need close supervision. An alternative to CCPs would be regulating for firms to adopt greater capital requirements and larger trading margins. Standards on these issues have been developed by the BIS Committee on Payment and Settlement Systems (CPSS) and the Technical Committee of the International Organization of Securities Commissions (IOSCO) covering financial market infrastructure. Such ex-ante measures, however, will be resisted by the financial sector. The subsidy element will not be acknowledged as valuable: each institution will say that its balance sheet is safe, and that its cheaper funding and better credit ratings come from its own superior risk management and conservatism. The implicit protection to uninsured creditors and shareholders is not a simple case of insurance (like fire or life insurance), where the value of the insurance could be estimated and internalised through a tax or charge. Successful crisis avoidance does not compensate the insured after the crisis event: the event does not occur. Externalities, by definition, are not the concern of the institution causing them: paying for adverse externalities is always and everywhere resisted. Crises are rare, and their cost fades in memory, including in that of policy-makers. It is easy for the financial sector to argue that they do not need the measures, or need far less than is optimal from society’s viewpoint. They can also argue that in general, other rare adverse events are met ex-post from general revenue. Financial sector resistance has to be weighed against the unfairness to the general public in having to rescue the financial sector in the event of a crisis. Developing an appropriate balance is a policy challenge. The promise to end TBTF is a bold one: the FSB Report to the G20 on TBTF says “the policy initiative to end TBTF is ambitious, but necessary”. If the measures explored here did no more than offset the implicit subsidy and compensated for the externalities, it might be argued that something closer to Pareto-optimality had been achieved. It is, however, too much to ask that the measures taken, with TBTF in mind, will perform the offsetting role with any precision. The most that can be said with confidence is that these efforts seem well justified and that the counter-arguments made by the financial sector, understandable though they are, should be answered with the simple logic that the heavy costs of TBTF and the disruption to the economy have been amply demonstrated. This is as much about politics as the development of optimal intervention. Vested interests have been well represented (many would say over-represented) both in the setting of regulations prior to 2008 and the reforms since then. The public interest has often been less adequately represented. If a sensible point on the spectrum is to be achieved, there is a need to rebalance the debate, giving more voice to the general interest and less to the debate within the financial industry. If intervention did succeed in balancing the implicit subsidy and the externalities, the problem of TBTF would be reduced, but not ended. Systemically important banks could still require public funds to remain open. In any case, the emphasis on SIBs misses a key lesson from 2008: that systemic issues will occur in institutions and markets that had not been seen, ex-ante, as potentially systemic. The more measures which are taken to reduce TBTF problems in SIBs, the greater the probability that the problems have just been shifted into parts of the financial sector outside these measures (in particular, into the shadow banking sector), where they remain systemic but hidden until the crisis arrives. Moreover, financial market participants have powerful reasons to widen the scope of protection, to their own advantage, once the crisis arrives. When Greek bonds came under pressure in 2010, financial markets quickly broadened the threat of bond-market collapse to other fragile countries in the European periphery, ultimately requiring the ECB to promise to do ‘whatever it takes’ to hold the euro together, at some considerable risk to the public purse. In such a situation any measures that are considered to be acceptable before the crisis will be found to be inadequate in scope once the crisis is underway, with coverage widened ex-post. The challenge the G20 faces is not to definitively end TBTF, but to lend its weight to establishing a sensible trade-off between reducing the ex-post cost of TBTF while minimising the ex-ante costs of doing so. Nonresident Fellow, Lowy Institute for International Policy. “We renew our commitment to make any necessary reforms to implement fully the FSB’s Key Attributes of Effective Resolution Regimes for all parts of the financial sector that could cause systemic problems”, see G20, “G20 Leaders' Declaration, St Petersburg,” (6 September 2013). Available at: http://www.g20.utoronto.ca/2013/2013-0906-declaration.html. Specifically, FSB Chairman Mark Carney outlines that (1) “A global standard for a minimum level of gone-concern loss-absorbing capacity that global systemically important banks should hold will be proposed by the FSB”, (2) “Proposals will be developed by the FSB for contractual or statutory approaches for cross-border recognition of resolution actions, including bail-in and temporary stays on the close-out of financial contracts, and cross-default rights when a firm enters resolution”, and (3) “The International Association of Insurance Supervisors (IAIS) will finalise a basic capital requirement on which higher loss absorbency for global systemically important insurers will be built.’ For the full letter, see: Mark Carney, “Letter from the Financial Stability Board to the G20 Finance Ministers and Central Bank Governors,” (17 February 2014). Available at: https://www.financialstabilityboard.org/publications/r_140222.pdf. Stephen Cecchetti, “How to Cope with the Too-Big-to-Fail Problem?” (paper presented at the 10th Annual Conference of the International Association of Deposit Insurers, "Beyond the Crisis: The Need for a Strengthened Financial Stability Framework", Warsaw, Poland, 19 October 2011). Available at: http://www.bis.org/speeches/sp111019.htm. Long Term Capital Management provided an earlier (1998) example of a non-bank being saved by official intervention, even if there was no official money involved. See Chapter 3 in IMF, “Global Financial Stability Report: Moving from Liquidity- to Growth-Driven Markets,” (Washington DC, April 2014). Available at: http://www.imf.org/External/Pubs/FT/GFSR/2014/01/pdf/text.pdf. Moral hazard is generally high on the list of concerns, but in practice it probably played a minor role in 2008. While excessive risk-taking was clearly an important factor, its motivation is found elsewhere: ignorance or underestimation of risk, commercial pressures and the threat of take-over (and loss of management position) drove management further out on the risk spectrum. As the former chair of the US Federal Reserve noted: “In the midst of the crisis, providing support to a too-big-to-fail firm usually represents the best of bad alternatives; without such support there could be substantial damage to the economy”, see: Ben S. Bernanke, “Causes of the Recent Financial and Economic Crisis, Testimony before the Financial Crisis Inquiry Commission,” (Washington DC, 2 September 2010). Available at: http://www.federalreserve.gov/newsevents/testimony/bernanke20100902a.htm. “Simple declarations that the government will not assist firms in the future, or restrictions that make providing assistance more difficult, will not be credible on their own. Few governments will accept devastating economic costs if a rescue can be conducted at a lesser cost; even if one Administration refrained from rescuing a large, complex firm, market participants would believe that others might not refrain in the future. Thus, a promise not to intervene in and of itself will not solve the problem”, see: ibid. Institute of International Finance, “Specific Impacts of Regulatory Change on End-Users: Initial Report,” (Washington DC, October 2012). Available at: http://www.iif.com/download.php?id=2JpvK6/xpMA=. Basel Committee on Banking Supervision, “An Assessment of the Long-Term Economic Impact of Stronger Capital and Liquidity Requirements,” (Basel, August 2010). Available at: http://www.bis.org/publ/bcbs173.pdf. Stefan Avdjiev, Anastasia Kartasheva, and Bilyana Bogdanova, “Cocos: A Primer,” BIS Quarterly Review September (2013). For a sceptical view on how this would work in practice, see Mark Thoma, “Too Much "Too Big to Fail"?,” Economist's View(2010), http://economistsview.typepad.com/economistsview/2010/09/too-much-too-bi... The year 2008 provided various examples of how corporate law can inhibit the speedy resolution of failing firms, such as in the possible Barclay’s bid for Lehmans, the Bank of America/Merrill Lynch transaction, and the de-listing of Fannie Mae and Freddie Mac. Paul Melaschenko and Noel Reynolds, “A Template for Recapitalising Too-Big-to-Fail Banks,” BIS Quarterly Review September (2013). Committee on Payment and Settlement Systems and Technical Committee of the International Organization of Securities Commissions, “Principles for Financial Market Infrastructures,” (Basel, April 2012). Available at: http://www.bis.org/publ/cpss101a.pdf. See the discussion in Raghuram Rajan, “Too Systemic to Fail: Consequences, Causes, and Potential Remedies” (paper presented at the Eighth BIS Annual Conference, Basel, 25-26 June 2009). Available at: http://www.bis.org/events/conf090625/rajanpaper1.pdf. Rajan: “If there is one lesson we take away from this crisis, it should be this – regulation that the regulated perceive as extremely costly is unlikely to be effective, and is likely to be most weakened at the point of maximum danger to the system”. Financial Stability Board, “Progress and Next Steps Towards Ending "Too-Big-to-Fail" (TBTF): Report of the Financial Stability Board to the G-20,” (2 September 2013). Available at: http://www.financialstabilityboard.org/publications/r_130902.pdf. “All of this implies that the crucial problem is not the fiscal cost of rescue, but the macroeconomic volatility induced by precarious credit supply – first provided too easily and at too low a price, and then severely restricted. And it is possible – indeed, I suspect likely – that such credit-supply problems would exist even if the too-big-to-fail problem were effectively addressed”, from Adair Turner, “Too Much "Too Big to Fail"?,” Project Syndicate (2010), http://www.project-syndicate.org/commentary/too-much--too-big-to-fail--. William C. Dudley, “Solving the Too Big to Fail Problem” (paper presented at the Clearing House’s Second Annual Business Meeting and Conference, New York, 15 November 2012). Available at: http://www.bis.org/review/r121116c.pdf?frames=0. Combating tax evasion and avoidance is a priority for the G20. A particular focus of the G20 is profit shifting and aggressive tax planning by multinational firms, described by the OECD as the need to address base erosion and profit shifting (BEPS). This paper provides some observations on the work program of the OECD/G20 BEPS project, and highlights the importance of seeing this initiative as part of a long-term challenge to ensure international tax laws keep pace with an increasingly globalised business environment. It suggests that greater weight should be placed on transparency in order to reduce aggressive tax planning strategies by corporates. It also proposes that a potentially major change in the governance arrangements for dealing with international tax issues has begun, in that the BEPS work includes G20 non-OECD members participating on an equal basis with OECD members. This cannot stop when the current BEPS timetable ends in September 2015. Moreover, improved arrangements are now required to foster greater direct participation of developing countries in the BEPS project. Australia should use its position as G20 chair in 2014 to ensure that the BEPS project is part of a permanent improvement in the processes for dealing with international tax issues. BEPS essentially refers to corporates artificially exploiting loopholes in different countries’ tax laws to reduce or avoid taxation. In particular, it covers the capacity of multinational corporations to shift profits to locations where there is little or no taxation. BEPS can result in situations where there is ‘double non-taxation’. In July 2013, the OECD released a fifteen-point Action Plan, focused on addressing BEPS. It also established a timetable for the completion of its actions, with a number of action-points to be finalised by September 2014 and the remainder to be completed by September 2015. As the OECD noted, this Action Plan was produced at the request of the G20. At the St Petersburg Summit in September 2013, G20 leaders endorsed the BEPS Action Plan and welcomed the establishment of a G20/OECD BEPS project. The OECD has ‘turbocharged’ its work on international tax issues in order to meet the deliverables established in its Action Plan. The project is ambitious, for as stated by the OECD, “This Action Plan calls for fundamental changes to the current mechanisms and the adoption of new consensus-based approaches, including anti-abuse provisions, designed to prevent and counter base erosion and profit shifting”. Since January 2014, the OECD has released discussion drafts covering: Tax Challenges of the Digital Economy; Transfer Pricing Documentation and Country-by-Country Reporting; Preventing the Granting of Treaty Benefits in Inappropriate Circumstances; and the neutralisation of the effects of hybrid mismatch arrangements. The OECD has invited public comments on its discussion drafts and, notwithstanding a short (few weeks) deadline for comments, it has received thousands of pages of comments from businesses, business associations, law firms, accounting organisations from developed economies, and a few contributions from NGOs. We recognise the legitimate desire of tax authorities in jurisdictions around the world to have access to relevant tax reporting information … We’re concerned though with the speed with which these proposals are being developed. We commended the OECD’s efforts to engage business input, but we are concerned that the timing of this proposal will not permit sufficient opportunity for input from, and consultation with, the business community to ensure that the guidance ultimately adopted can be successfully implemented in practice. The rapid pace of the OECD’s work on BEPS is dictated by its ambitious timetable. It is committed to completing the action items targeted for September 2014, in time for consideration by G20 finance ministers at their meeting scheduled for 20-21 September 2014. G20 finance ministers have in turn set a high bar for what is to be achieved on the BEPS agenda in 2014. At their meeting in February 2014, they stated that “[b]y the Brisbane Summit, we will start to deliver effective, practical and sustained measures to counter BEPS across all industries, including traditional, digital, and digitalised firms in an increasingly globalised economy”. Expectations as to what the BEPS project will achieve vary significantly. When the OECD launched the BEPS initiative in 2013, there were a number of comments that this work would drastically change international tax arrangements. For example, some of the comments included; “it is the most significant potential change to international taxation for decades”, it represents a “potential seismic shift in international tax”, and it was a “reboot for the 21st century”. In contrast to these high expectations, there are a number of sceptics who question whether the BEPS exercise will deliver substantive changes. Nathan Boidman and Michael Kandev conclude that the BEPS exercise is unlikely to lead to large-scale coordinated changes to the substantive rules and principles in international taxation, although “procedural changes are expected to continue apace resulting in ever greater and more burdensome tax disclosure requirements on multilateral enterprises”. Richard Murphy is also pessimistic and sees the BEPS project as only “tinkering with the existing system” and that it will not deliver the desired outcomes. In the area of treaty abuse, one commentator notes “even absent the advent of the BEPS initiative, governments and the OECD have been ‘all over’ this area and it is difficult to see what the action plan will really add up to”. OXFAM has focused on the implications of BEPS for developing countries and while it initially saw the G20/OECD project as a unique opportunity to reform corporate tax rules for the benefit of developing countries, has recently expressed concern that there is a “huge risk” that any changes that are achieved will only serve the interests of developed countries. So where is the BEPS exercise heading? Will it bring international tax rules into the twenty-first century, comprehensively deal with corporate tax evasion and avoidance and result in a significant increase in government revenue? Or will it disappoint, involve little substantial progress in combating BEPS, other than imposing significant reporting burdens on firms and potentially impacting on legitimate economic activity? To gain an overview of how the BEPS project is unfolding, it is worthwhile to step back from the detail of the issues and seek to identify some general impressions. One theme or impression that comes from reading the comments and materials produced by the OECD and G20, and comparing this with the comments received from the public, is the existence of ‘contradictions’. This may be a harsh assessment, and could be expressed as a comment on the overall complexity of the task, but nevertheless there are a number of contradictory themes running through the BEPS work that will influence where this exercise is heading. Is BEPS a new or old issue? One contradiction is whether BEPS is dealing with a relatively new or a well-known issue. The public may well think that the issue of corporates shifting their profits to low-tax jurisdictions is a relatively recent phenomenon. Over the past few years it has been a prominent issue on the G8 and the G20 agendas and, as noted previously, the OECD is in the middle of an ambitious and rushed work program to address the integrity of countries’ tax bases. But as is evident from the comments received on the BEPS discussion drafts circulated by the OECD, the issues being reviewed have been around and on the OECD work program for a long time. In fact, many of the elements being discussed have probably been in play in one form or another since income tax was invented. The extent to which the issues are well known is highlighted in the OECD’s work on addressing tax challenges of the digital economy. Newcomers to the debate might have the impression that issues associated with BEPS are intrinsically related to the rise of the digital economy. This would have been reinforced by the high-profile cases that have been publicly associated with BEPS, such as those involving major information technology firms Google and Apple. However, as noted in the discussion paper on the digital economy, one of the resources that the OECD drew upon was the outcomes of the 1998 Ottawa Ministerial Conference on Electronic Commerce, where ministers welcomed the 1998 Committee of Financial Affairs Report ‘Electronic Commerce Taxation Framework’. Moreover, the BEPS Task Force on the digital economy considered that these 1998 principles were still relevant enough to serve as a basis for evaluating contemporary options to address challenges posed by the digital economy. The OECD also discussed the post-Ottawa body of work on tax and the digital economy. In short, the tax challenges that have emerged around the growing digital economy were not discovered simply because of the recent publicity over the tax minimisation strategies employed by firms like Google and Apple. It is also telling that while digital firms have been singled out for criticism with regards to their navigation of international tax rules, the conclusion of the OECD was that tax issues involving the sale of digitised products and services by non-resident sellers are not unique to the digital economy. Rather, tax issues borne from the sales of physical goods and other transactions between non-resident providers and consumers that are located in a jurisdiction where the provider has no physical presence suffer from the same challenges. As such, from an income tax perspective, the digital economy does not appear to raise specific new issues. Rather, advances in information and communication technology have made direct interactions between providers and consumers in different locations more extensive and efficient. Thus, the OECD concludes that there should not be a separate tax regime for the digital economy. While most of the comments received by the OECD on the discussion draft endorse these conclusions, many suggest that there are contradictions in the draft, for it goes on to pose a number of specific measures for digital firms, such as the introduction of withholding taxes, and virtual permanent establishment options. There is a perception that BEPS was placed on the G20 agenda at the Los Cabos Summit, where leaders stated: “We reiterate the need to prevent base erosion and profit shifting and we will follow with attention the ongoing work of the OECD in this area”. However, issues surrounding base erosion and profit shifting were on the G20 agenda well before Los Cabos. At the Seoul Summit, reference was made to the importance of strengthening tax regimes, countering the erosion of tax bases and ways to tax multinationals through effective transfer pricing. But this was all in relation to developing countries and was part of the Seoul Development Consensus. BEPS only became a high priority on the G20 agenda following the publicity around the tax positions of such companies as Google, Amazon and Starbucks, who earn large amounts of revenue in developed countries, but through the use of devices, such as the infamous ‘Double Irish Dutch Sandwich’, have very low effective tax rates. Concern over such outcomes became a major political issue in advanced economies, not least because many countries were in the process of implementing tough fiscal consolidation measures. It is not good politics to be cutting back on the provision of public goods and services or increasing personal income tax rates when the headlines are pointing to multinational corporations that appear to pay relatively little tax. Hence, in 2013 dealing with corporate tax evasion and profit shifting became a political priority for the G8 and the G20. As The Economist reported in its coverage of the G8 summit hosted by the United Kingdom in June 2013, “Publicity over the low taxes paid on foreign profits by American multinationals such as Apple, Google and Starbucks has propelled tackling tax avoidance up the political agenda in the G8”. The same story played out in the G20. Again, what was new was not awareness that multinationals were using devices to lower their effective tax rates, but the publicity of the extent of this practice by high-profile firms. Another area where there is an impression of ‘contradiction’ is over the scale of the problem of base erosion and profit shifting. The OECD suggests that the revenue at stake is very substantial. For example, the Declaration on Base Erosion and Profit Shifting adopted by the OECD Ministerial Council on 29 May 2013 states that BEPS “constitutes a serious risk to tax revenues, tax sovereignty and trust in the integrity of tax systems of all countries”, while ministers declared that “there is a pressing need to address BEPS and to work towards level playing fields”. Others, in contrast, argue BEPS it not as significant as believed. Clemens Fuest and others from ZEW Mannheim and the University of Mannheim, for example, conclude that while there is evidence that profit shifting takes place, there is no precise and reliable estimate for the amount of tax base erosion that occurs due to international profit shifting. They note that there are a small number of rather rough estimates, and while their results receive great attention in public debates, they have to be treated with caution due to serious methodological flaws. In addition, Hosuk lee-Makiyama and Bert Verschelde from the European Centre for International Political Economy suggest that BEPS may be fixing a non-existing problem. The impression from many of the comments that the OECD has received on its discussion drafts also suggests that BEPS is not such a significant problem – the bigger problem is that many of the measures being considered will be costly and will impede legitimate business activities. The concern raised in many comments is that the BEPS agenda will lead to a case of double taxation rather than double non-taxation, where double taxation has a greater potential to adversely affect the global economy. In short, the BEPS ‘cure’ could be worse than the disease. Given the uncertainty of the magnitude of the problem, it is surprising that item 11 of the OECD’s Action Plan, namely developing an economic analysis of the scale and impact of BEPS and the actions to address it, is not scheduled to be completed until September 2015. However, when the time comes to implement measures to deal with BEPS, particularly any that are resisted by the private sector, national authorities will have to have a firm estimate of the revenue at risk. It is also unusual that an assessment of the economic effect of the measures to deal with BEPS is one of the last action items being progressed. Given that many of the comments received by the OECD emphasise that the proposals will impede legitimate economic activity, and cover transactions that are not motivated by attempts to reduce tax, an assessment of the economic consequences of the actions being considered should be undertaken at every step of the project. This was recognised in a ‘BEPS Action Plan Update’ provided by Mark Konza from the Australian Taxation Office. For example, in commenting on the work on hybrid mismatch arrangements, Konza observed it is important that any hybrid mismatch rules applied by Australia should not apply to ‘unintended mismatches’, that is, those which are not aimed at achieving a tax advantage. In making the case for implementing any recommendations coming from the BEPS project, national authorities will have to demonstrate that the revenue gained outweighs the costs, including the cost of any impact on economic activity. Whose tax base is being protected? in keeping with the publicly stated parameters of the project, we do not believe this paper is the place to consider ‘source’ vs ‘residence’ issues. That is clearly an issue of concern to G20 and OECD members, but if that discussion is to happen, it needs to take place more broadly and more deliberatively than can be done in this paper. It is for example not in the interest of the US to tighten CFC rules or the rules for tax residence because US multinational firms would then lose the competitive advantage of avoiding European corporate income taxes on foreign income. A second approach to addressing BEPS is through strengthening source taxation. This could be through imposing a withholding tax on interest and royalty payments which, in order to prevent double taxation, would be creditable in the residence country. While this would be consistent with the existing resident and source country concepts, it would likely be controversial for it would be seen as strengthening the source country tax base at the expense of the resident country. Is more ‘out of the box’ thinking required? A possible consequence of the approach being pursued by the OECD to strengthen the link between tax and economic activity on a de-facto formulary basis is that economic activity will be even more sensitive to tax rates. Specifically, tax competition may increase. The IMF notes that there is considerable interest among civil society organisations and others in more radical alternatives to the current international tax framework, such as formulary apportionment and some form of minimum tax. The Fund observes that even if the conclusion is that these are undesirable schemes, they deserve a more thorough and realistic assessment. The fact that the approach taken by the OECD seems to be moving in the direction of formulary apportionment, notwithstanding its assertion that such an approach is not being pursued, reinforces the view that the merits of such ‘out of the box’ concepts do need to be thoroughly considered. Is the focus on the symptoms or the underlying causes? These apparent contradictions in the BEPS project may in part stem from the proposals concentrating on the symptoms of an apparent conflict between international tax laws and current business behaviour, without sufficiently considering the source of the concerns and likely future developments. The source of many of the concerns or areas of pressure raised in BEPS is that firms are increasingly operating globally under a single operating structure, rather than a series of separately constituted and managed enterprises or subsidiaries within national jurisdictions. Global value chains are increasingly dominating world trade and associated with this is the rise of intra-firm trading. Technology, combined with the removal of impediments to trade in goods and services, is accommodating this trend. The increasing globalisation of firms’ operations and structures is challenging such concepts as the arm’s length principle. But technological developments will not stop. We will have more globally operating firms, more goods and services produced in the digital economy, and tax competition will not cease. The BEPS exercise is based on the realisation that current international tax laws are out of date with business practices. But will international tax laws always be playing catch-up with trends in global business operations? Are there wider reforms to corporate tax systems that need to be considered? Should countries with a high reliance on corporate taxes, such as developing countries, be concerned about the ongoing sustainability of their tax base? Is one of the lessons from BEPS that, given the increased mobility of capital associated with globalisation and increasing competition, there should be more of a move towards taxing less mobile factors of production and revenue heads that are less susceptible to base erosion? For example, the OECD discussion draft on the digital economy raises an important point, namely whether more attention should be placed on strengthening VAT, a tax on consumption, rather than attempting to extend income tax structures in an effort to effectively tax consumption. Another basic issue that needs to be pursued is the power of transparency in combating corporate tax avoidance and evasion. Greater emphasis should be placed on requiring corporate tax payers to publicly explain their tax strategy, taxable income and tax paid in each jurisdiction in which they operate. Avoiding reputational damage can be a major motivation in minimising aggressive tax planning. There may be concerns that a corporation’s reputation will be inappropriately damaged with greater transparency. However, if there are valid reasons for a very low effective tax rate, or for the fact that a corporate has profits sourced from a small jurisdiction with low or no taxation, then it is up to the corporate to provide the explanation. It is worth recalling that the current focus on BEPS is itself the result of transparency, namely widespread public reporting of the low tax rates paid by some high-profile corporations in jurisdictions where they had substantial operations. The publicity around the tax strategies of some high-profile firms has not only resulted in public pressure on governments to respond, but has likely changed the behaviour of firms in terms of pursuing what might be seen as excessively aggressive tax minimisation devices. To the extent that greater publicity prevents some firms exploiting loopholes in the law, this will benefit the wider corporate community. As evident in many of the actions being pursued as part of the BEPS initiative, the OECD’s efforts to close what it perceives as problem areas in international tax law have involved sweeping measures that may impede legitimate activities that are not tax motivated. This is a major concern raised in many of the comments on the OECD’s discussion draft on hybrid mismatch arrangements. While the focus of the BEPS initiative is on the OECD/G20 Action Plan and the specific tax rules being reviewed, its significance is potentially much wider. In particular, it should be seen as the start of a fundamental change in the governance arrangements for international tax, one that expands beyond the OECD to cover emerging markets and developing countries. The OECD, through its Committee of Fiscal Affairs, has traditionally been the source of expertise on international tax issues and set standards for its members – and by weight of their economic significance – indirectly for other countries. The focus of the OECD’s work has been on bilateral treaties and standards for avoiding abusive transfer pricing. The United Nations has played a much smaller role in the area of international tax. The BEPS Action Plan has been extended beyond OECD members and is presented as an OECD/G20 initiative with the non-OECD G20 members participating in the negotiations in the Committee of Fiscal Affairs as equal members. The issues being addressed under the BEPS initiative are not one-off and the work will not be completed by the end of 2015. They are complex and ongoing. At the end of the existing timetable for the BEPS Action Plan, set for 15 September 2015, the OECD will not be able to revert to negotiating international tax issues solely with its convention members. While the non-OECD G20 members are now participating on an equal basis with OECD members on the BEPS project, the involvement of developing countries is still an issue. It is commendable that Australia has signalled that a priority of the G20 in 2014 is to ensure that developing countries benefit from the tax agenda, and that it is seeking to more directly link the work being undertaken in the G20’s Development Working Group on improving the domestic revenue mobilisation of developing countries with the OECD/G20 BEPS project. The OECD is also using its consultative fora that incorporate developing countries, such as the Global Forum on Tax Treaties or the Global Forum on Transfer Pricing, to canvas the views of developing countries. However, these are very large meetings that are not conducive to detailed negotiations. The OECD has also said that it will consult with the UN Committee of Experts on International Cooperation in Tax Matters. This is an under-resourced committee that comprises 25 members nominated by governments to act in an expert capacity. It is welcome that more attention is being given to the position of developing countries. They face particular challenges in dealing with sophisticated multinationals in the context of limited capacity. The capacity constraints facing developing countries also limit their ability to take advantage of such international initiatives as the automatic exchange of tax information. The problems confronting developing countries have received little systemic attention. Moreover, there has not been a forum that brings together advanced economies, emerging markets and developing countries for an in-depth examination of the relevance of international tax principles in a rapidly changing global business environment. As noted previously, there is a need to examine the continuing application of the arm’s length principle to deal with intra-firm transactions, the use of formulary apportionment and the wider use of minimum taxation. These issues are of particular relevance to developing countries, and their governments should be directly involved in negotiations. Australia should use its presidency of the G20 in 2014, combined with the focus being given to the BEPS project, to begin a discussion around more permanent changes to the arrangements for dealing with international tax issues. This should include not only formalising the participation of non-OECD G20 members beyond the timetable for the current BEPS initiative, but also mechanisms to more actively and directly involve developing countries. A first step could be to use the attendance of finance ministers at the IMF-World Bank annual meetings in October 2014 to convene a meeting of finance ministers from the OECD, G20 and a representative group of developing countries, to discuss a more inclusive approach to dealing with international tax issues on an ongoing basis. The BEPS project is an important initiative. But it is not simply a two-year project that will be completed in September 2015. It is part of an ongoing and accelerating process of dealing with the globalisation of business and the advancement of technology. What is required now is a strengthening of the ongoing work on international tax issues. The fifteen action items currently being advanced by the OECD represent ‘soft’ law, recommendations that will have to be implemented by national authorities. The G20 will have to provide the political will to ensure that the recommended changes are implemented. But the action items should be seen as steps along the road towards ensuring that tax arrangements keep pace with global business arrangements. Greater weight should be placed on the power of transparency in preventing excessively aggressive corporate tax minimisation strategies. However, the appropriateness of some traditional tax principles will need to be examined. It also needs to be recognised that the OECD/BEPS exercise represents a potentially far-reaching change in the global governance arrangements for considering international tax issues. As G20 chair in 2014, Australia should ensure that these developments are advanced in a considered way, and in particular look towards ensuring that developing countries are more directly involved in the process. Australian G20 Presidency, “Tax,” 2014. Available at: https://www.g20.org/g20_priorities/g20_2014_agenda/tax. OECD, “Action Plan on Base Erosion and Profit Shifting,” (Paris, 2013). G20, “G20 Leaders' Declaration, St Petersburg,” (6 September 2013). Available at: http://www.g20.utoronto.ca/2013/2013-0906-declaration.html. G20, “Communiqué of Meeting of the G20 Finance Ministers and Central Bank Governors, Sydney, Australia, February 23, 2014,” (Sydney, 23 February 2014). Available at: http://www.g20.utoronto.ca/2014/2014-0223-finance.html. Mike Callaghan and Marty Harris, “Reforming International Taxation: The Role of the G20,” in G20 Monitor No. 6: Tax, Infrastructure, Anti-Corruption, Energy and the G20 (G20 Studies Centre, Lowy Institute for International Policy, 2013). Kandev and Boidman, “BEPS: The OECD Discovers America?”. OECD, “Release of Discussion Draft on Action 1 (Tax Challenges of the Digital Economy) of the BEPS Action Plan”. G20, “G-20 Leaders Los Cabos Declaration,” 2012. Available at: http://www.g20.utoronto.ca/2012/2012-0619-loscabos.html. “Seoul Development Consensus for Shared Growth,” (Seoul, 11-12 November 2010). Available at: http://www.g20.utoronto.ca/2010/g20seoul-consensus.pdf. Meeting of the OECD Council at Ministerial Level, “Declaration on Base Erosion and Profit Shifting,” (Paris, 29 May 2013). Available at: http://www.oecd.org/tax/C-MIN(2013)22-FINAL-ENG.pdf. Clemens Fuest et al., “Profit Shifting and ‘Aggressive’ Tax Planning by Multinational Firms: Issues and Options for Reform,” (July 2013). Available at: http://ftp.zew.de/pub/zew-docs/dp/dp13044.pdf. Hosuk Lee-Makiyama and Bert Verschelde, “OECD BEPS: Reconciling Global Trade, Taxation Principles and the Digital Economy,” ECIPE Occasional Paper 4 (2014). Mark Konza, “BEPS Action Plan Update” (paper presented at the Tax Institute NSW 7th Annual Tax Forum, Dalton House Sydney, 22 May 2014). Available at: https://www.ato.gov.au/Media-centre/Speeches/Other/BEPS-Action-Plan-Update/. OECD, “Addressing Base Erosion and Profit Shifting,” (Paris, 12 February 2013). IMF, “Issues in International Taxation and the Role of the IMF,” (Washington, DC, 28 June 2013). 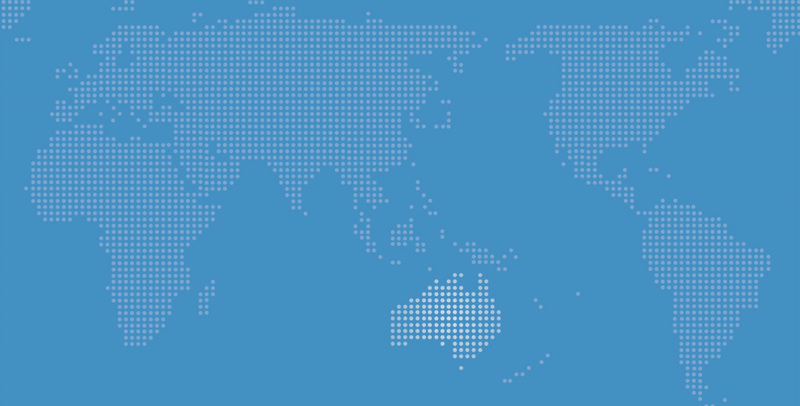 On 5 May 2014, the G20 Studies Centre at the Lowy Institute for International Policy and Griffith University jointly hosted a G20 and Development conference in Brisbane. The following is a brief summary of some of the issues discussed at the conference. There has been much debate about the effectiveness and accountability of the G20’s role in promoting development, as it has been a prominent agenda item for leaders since the launch of the Seoul Development Consensus for Shared Growth at the Seoul Summit in 2010. For example, at the St Petersburg G20 Summit in 2013, the Russian presidency released a Development Accountability Report that, for the first time, tracked the G20’s performance in development. However, this report received criticism, in part because it was prepared by the G20 Development Working Group itself. More broadly, the international development regime is also experiencing a revision of goals and objectives, not least because of the push to establish a ‘post-2015 development agenda’ that will replace the Millennium Development Goals. Given the changing context of the G20’s own development priorities, the focus of the conference was to assess how the G20 can play a positive and productive role that adds value to the international effort to promote development. The conference consisted of four sessions. Session 1 provided an overview of the G20 as a global steering committee, discussing its performance and major challenges ahead. Session 2 addressed the G20 as a development actor. It particularly focused on issues of global governance, the G20 agenda and accountability. Session 3 was devoted to those development policy areas that are characterised by major overlaps with the G20’s ‘core’ agenda in economics and finance. Finally, Session 4 addressed other development policy areas that have, in some form, been part of the G20 development agenda, but that are not immediately related to the G20’s ‘core’ agenda. Session 1 set the scene for the conference by discussing the performance of the G20 as a global steering committee and outlining the key challenges it would face in the future. Perspectives on the G20 were provided from an Australian, American, and a small non-G20 country (Singapore) viewpoint, alongside an African perspective that focused on the G20’s potential for supporting the continent’s development efforts. A common view held by participants was that, absent of reform, the G20 may never recapture the clarity of purpose it demonstrated in responding to the global financial crisis in 2008. With a work program that has greatly expanded since 2008, a major challenge for the G20 is to be more strategic in selecting the issues that make it on to the leaders’ agenda. The G20 should focus on truly international policy areas that involve cross-border spillovers and where solutions cannot be achieved through unilateral action. Issues that meet this set of criteria include international trade, international tax, globally operating financial institutions, the governance and performance of international institutions, and climate change. In terms of specific actions the G20 can take in addressing these issues, it was noted that the G20 has neither enforcement power nor a secretariat. Its strength is that it can provide political guidance and momentum at the highest level to advance important global issues. In a similar vein, a general view emerged that the G20 had three fundamental functions, namely: problem-solving, agenda-setting and building ‘habits of cooperation’. It follows that the G20 has to focus on both providing a broad vision within the spirit of a global steering committee, as well as achieving specific tangible outcomes (described as the ‘bricks in the road’). The G20’s ongoing credibility was also questioned, an issue that has been aggravated by the failure of the US Congress to ratify quota reform within the IMF. The failure of G20 members to implement commitments, such as completing the 14th round of IMF quota reform, has damaged its legitimacy. One participant noted that a common view held by small countries is that the G20 undermines the legitimacy of multilateral institutions, a concern that is of particular importance to small states because of their vulnerabilities to spillovers from larger countries. Several speakers stressed that a crucial measure of the G20’s legitimacy is its effectiveness, and called for the G20 to provide more leadership on truly international issues, such as the role of the WTO, climate change and systemic risks in financial markets. Additional concern was raised over Africa’s inadequate representation in the G20. Although it was also acknowledged that African countries have to improve their coordination efforts so as to be able to make a more significant contribution in the forum, it was stressed that the G20 must take on a more expansive view of developing countries as potential engines for global growth. That said, there was criticism about the disconnect between the G20’s growth and development agendas, and the lack of impact these work programs have had, and are having, on the lives of ‘ordinary Africans’. This session contained presentations on long-term development challenges in the post-global financial crisis era, on evaluation of the G20 as a development actor, the perspective of civil society on the G20, as well as an Asia-Pacific perspective on development and the G20. Three implications of the global financial crisis for development were identified, namely: increasing inequality, growing poverty, and a decline in overseas development assistance (ODA). On the latter, it was noted that ODA contributions have followed a flat trend, at best, over recent decades. As a response, it was proposed that three principles should inform and influence the G20’s work on development. The first would see an orderly normalisation of macroeconomic policies and outcomes, as opposed to the extraordinary policies that have been introduced post the global financial crisis. Second, there must be recognition that the pro-development impact of growth policies will only be achieved if specific attention is paid to the issue of inequality. Finally, as resource mobilisation is crucial to developing countries, the G20 can provide political leadership in creating or advocating for a more predictable aid framework, as well as a more holistic approach to development assistance. As a development actor, a key issue for the G20 is not only its actual focus, but also how it ‘frames’ its agenda. It was suggested that a credible ‘tale’ for the G20 to promote is that it is a provider of global public goods, rather than the exclusive club that it is portrayed as by critics. However, it was stressed that the G20’s development agenda must be more than a mere afterthought of its ‘core’ agenda. Instead, the G20 should actively promote ‘policy coherence for development’. The importance of linking the G20’s development efforts to the wider development debate was also highlighted. The global push for gender equality is just one example of an important development issue that the G20 can support. There exists a wide range of views among civil society on the G20, spanning those who refuse to engage with the G20 on the basis it is illegitimate, to others who recognise the forum’s limitations but nevertheless seek to promote a constructive dialogue with the G20. The unifying theme of civil society’s G20 work in 2014 has been inclusive growth. Under this headline, civil society has identified four policy priorities for the G20: growth/employment, infrastructure, climate change and governance. Potential synergies between APEC and the G20 also came up for discussion. It was stressed that the objectives for cooperation between the two forums should be avoiding duplication and creating opportunities for exchange and cooperation. Previous coordination efforts were noted, and one unifying theme in the work of the two forums was the role of interaction between government officials and the private sector. This session focused on those policy areas that have clear overlaps with the ‘core’ G20 agenda. It dealt with the question of how or whether development should be ‘mainstreamed’ into the G20’s ‘core’ agenda instead of being viewed as an add-on. Presentations covered foreign investment, trade liberalisation, tax and domestic revenue mobilisation, and the G20’s role in investment and infrastructure. The link between foreign direct investment and growth was explored, and the importance of foreign investment as a driver of growth was highlighted. Consideration was also given to the facilitation of foreign investment in a way that complements the G20’s trade agenda and the general transition towards a twenty-first century global economy. However, it was emphasised that a distinction needs to be made between the trade and development agendas. While trade talks may contribute to development outcomes, confusion between trade and development agendas should be avoided. Nevertheless, better cooperation between trade and development officials was identified as an area where improvements could be made. Several avenues were explored as to how the G20 can improve domestic revenue mobilisation within developing countries. First, it was proposed that the G20 should work towards turning the Publish What You Pay initiative, which focuses on the extractives industry, into a common global standard. Second, developing countries should be brought inside the tent of the OECD’s work on base erosion and profit shifting (BEPS), where they have previously been bystanders. Third, there is a real need to address the lack of capacity in tax administration that is prevalent in developing countries, particularly in sub-Saharan Africa. The last session covered policy areas that have been part of, or related to, the G20 development agenda. Presentations covered food security, commodity price volatility, and how the G20 can make a meaningful contribution in areas such as capacity development and in contributing to the post-2015 development agenda. The topic of food security and commodity price volatility was introduced by reviewing the historic evidence regarding the frequency of food price shocks. The evidence provided suggested these events seem to occur regularly, and may be exacerbated by climate change. The need to address food security via international policy coordination was emphasised. It was also argued that efforts to minimise the ‘beggar thy neighbour’ aspect of food-related trade policy was of particular importance, and that this should be part of the G20’s trade agenda. In particular, it would be important to promote greater cooperation on − and greater transnational understanding of − export restrictions, for which no international agreements are currently in place. An overview was given of the IMF’s contribution to capacity development within developing countries. The overview noted that capacity development is a major, albeit less prominent, focus of the IMF (the other two major areas of assistance being in program support and surveillance). About 25 per cent of IMF resources are devoted to capacity development. A broader observation made on development was that the distinction between North and South is no longer appropriate for analysing global governance, and traditional approaches to development assistance also need to be challenged. It was noted that there has been a recent tendency of traditional donors to readjust their development policies to focus more on economic diplomacy. This development is visible in the emergent discussion around the likely priorities for the post-2015 agenda, with economic aspects of development policy receiving more prominence than the social objectives of the MDGs. The G20’s Saint Petersburg Development Outlook follows this ‘economically’ focused approach. It was argued that the G20 needs to evaluate how it can support the post-2015 framework by finding synergies with its economic and ‘core’ financial agendas. Overall, the conference provided an insightful debate about the key challenges for the G20’s development agenda at a dynamic time in the international development policy arena. There seemed to be broad consensus among participants that the G20’s development agenda must be more than a mere add-on to its ‘core’ priorities. Development concerns should be considered appropriately in each and every aspect of the G20’s work streams, particularly trade, financial regulation, tax and climate change. Nevertheless, it was evident from the discussions that there is a strong view that the G20 is still searching for a clear narrative for its role as a development actor. This remains an important issue that the G20 must address.